Rafting & Canyoning on the Yoshino River, Shikoku, Japan. Planning on coming to shikoku but have some time on your hands? A big day of activities and not really looking forward to the 4 hour drive back home? Come and relax at one of our Guest Houses, run by our staff, and set up for you to sit back and relax after a big day out. Does this sound like you, then talk with us more about what you need and we will do our best to accommodate you. The guest houses are set up with almost everything, you just need to bring yourselves, your mates, your food for the BBQ (we’ll even supply the coal) and your party favorites. Make the most of your time i the region, there are plenty of things to do around the local area, talk with us more and we can direct you in the right direction. Per Night = ¥4,000 per person. Per Night with rafting or Canyoning Tour = ¥3,500 per person. 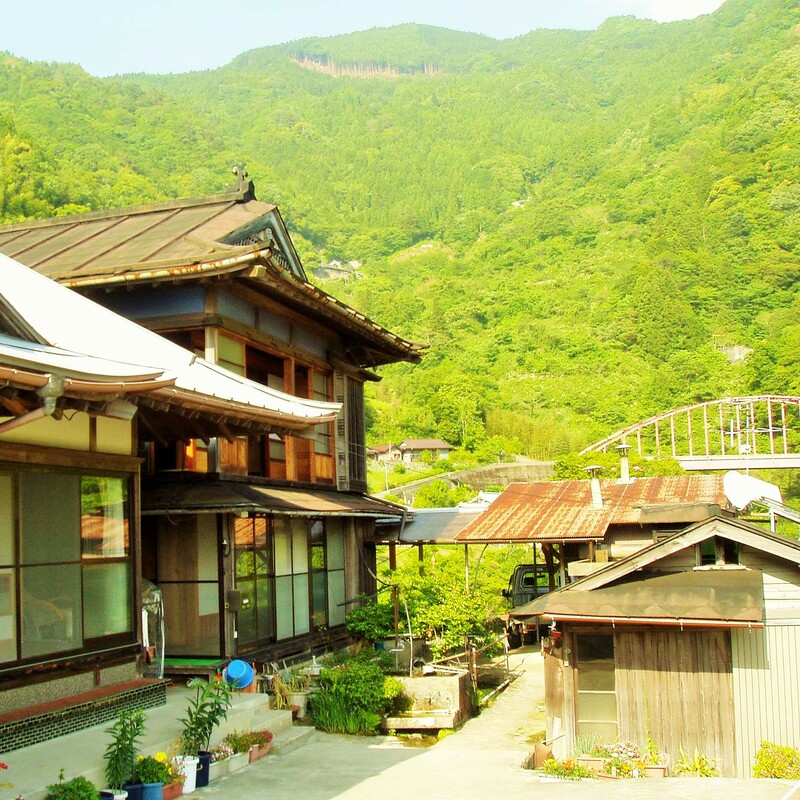 Our most popular guest house, (called TERUYA)overlooking the Yoshino river this old Japanese style accommodation is super quiet, even hard to find quiet. Surrounded by nature and plenty of room for a whole bunch of mates if that is what you are after. You can see beautiful cherry blossom in first of April. 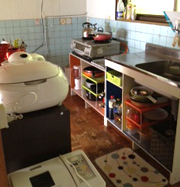 Bath, shower, separate male and female toilet, refrigerator, dryer, BBQ space (covered if needed). shampoo, conditioner, body soap ※ Please bring towels, toothbrush. 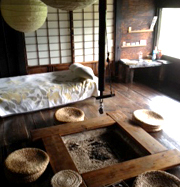 If your after authentic, this is the place, traditional thatched roof, this one story guest house oozes charm. Run by one of our guides, she prides herself in keeping the place clean and is constantly adding new features to the place. Like the pizza oven. Situated in the mountains the air is clean and fresh and the night sky full of stars. shampoo, conditioner, body soap ※ Please bring, towels, toothbrush, etc..
Up in the mountain, Grandpa Takamoto and Grandma Tamiko will tell you stories from around this area - this is their lodge. 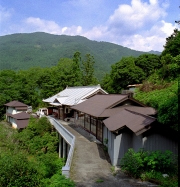 This classic private house offers a great view with sheer cliffs (Kiriishi) and sea of clouds in some mornings. Mountains are green and the sky is blue. You might enjoy spending some nostalgic time while you stay.The surrounding area is great for walking. We would love it if you find a home away from home here at Takamotoya. shampoo, conditioner, body soap ※ Please bring towels, toothbrush, etc.. Located in the middle of Shikoku, at 400m in the altitude. "Hareruya, the lodge in the sky" stands like a single cloud in the sky. Their cottage is for guests offering a place where you can just be your self. With the nearest neighbours miles away you will find this guesthouse a fantastic place to relax. 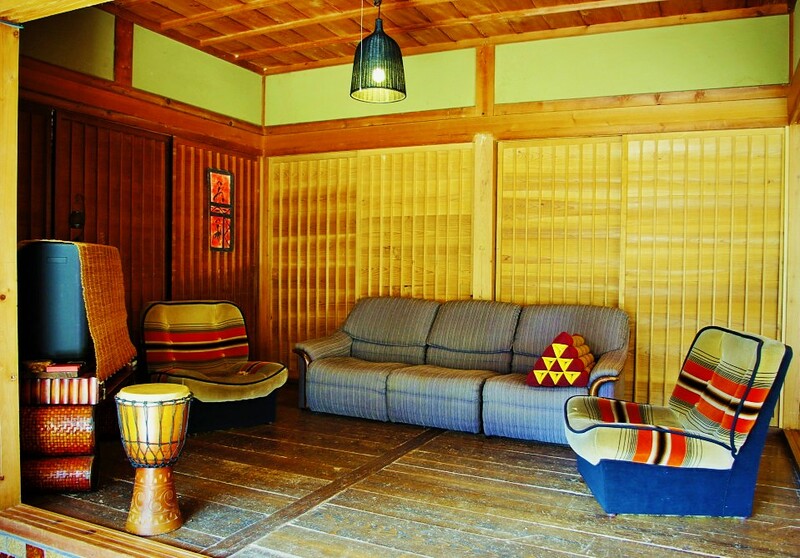 Having lived here since Edo period, 8 generations of the family, a friendly host who loves music will greet you at the door. 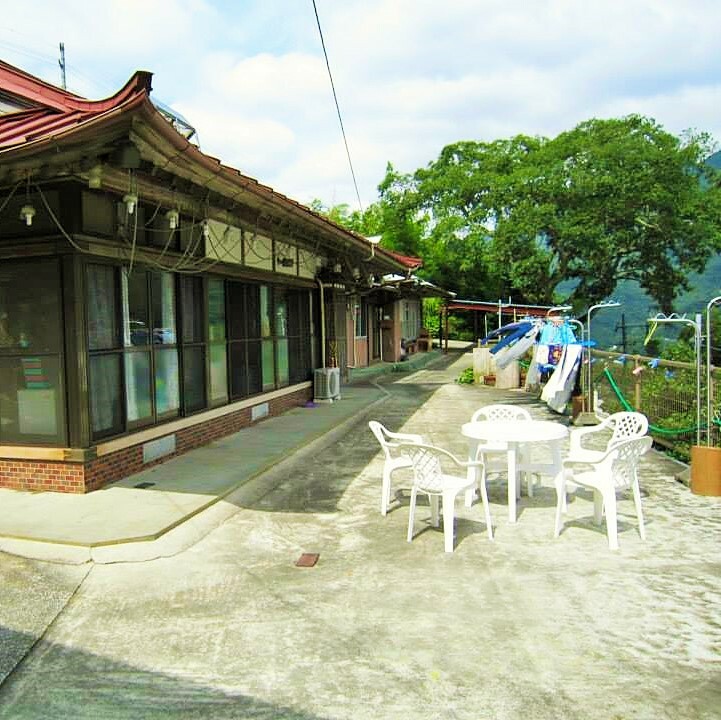 The house affords fantastic views of the Yoshino river and valley and is spacious and comfortable. We have access to other accommodation options as well, follow the link here to check out our other option. Copyright © 2005-2019	Happy Raft	ALL Rights Reserved.